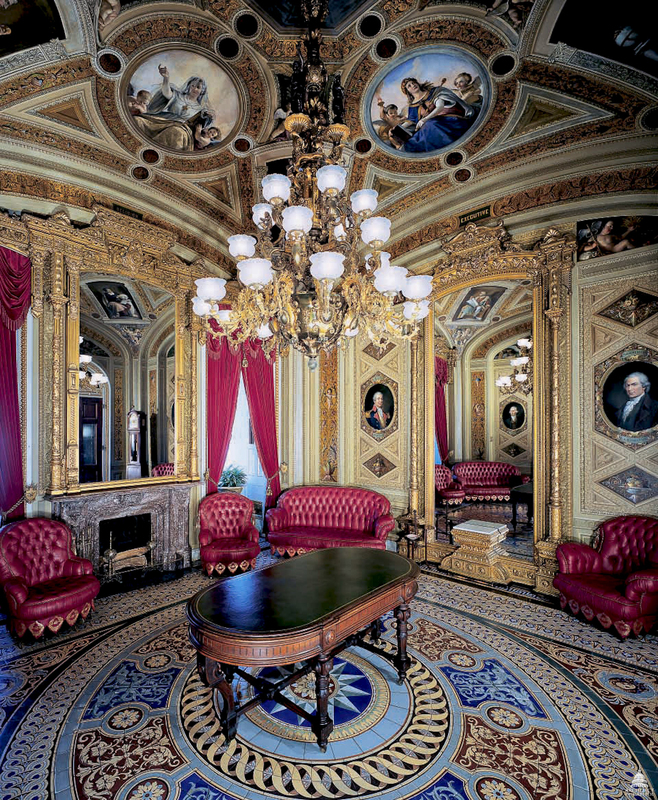 An elaborate 18-arm bronze chandelier provides light for the President's Room of the U.S. Capitol Building. 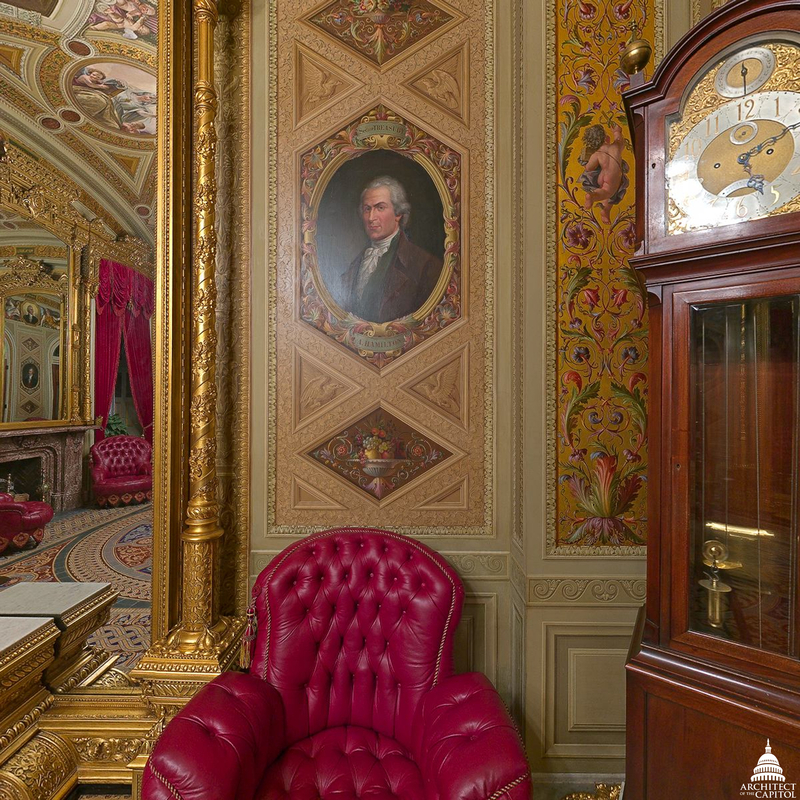 Hanging in the center of the President's Room is an elaborate 18-arm bronze chandelier embellished with allegorical statuettes mingled with figures of George Washington and Benjamin Franklin. 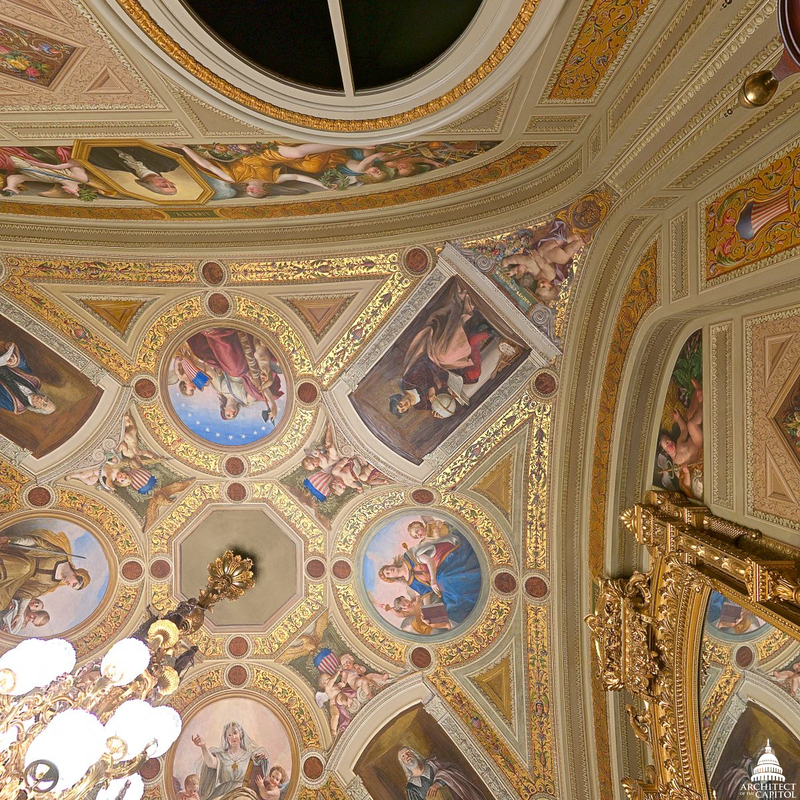 It was made by Cornelius & Baker in 1864 and cost $900. All other gas-burning chandeliers were removed from the U.S. Capitol Building following the gas explosion in 1898, but this one survived by being electrified.